These little gems are perfect as a breakfast or snack bite size treat. 2. Combine flour, sugar, baking powder, salt and cinnamon in a 2 qt bowl. 3. Melt butter and cool slightly. mix butter, milk, egg, and almond extract. Stir into dry ingredients until well combined. 4. Spray mini-muffin pans with vegetable oil spray, and fill. 5. 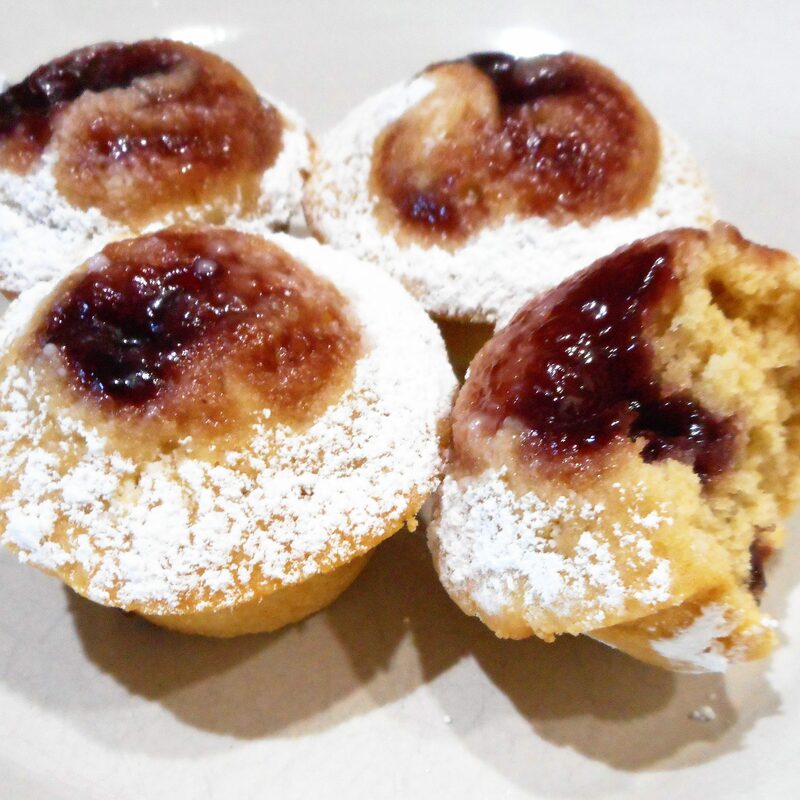 Press 1/2 teaspoon of jam into top of each muffin. Gently fold batter over most of preserves. 6. Bake 12 – 14 minutes or until a light golden brown. 7. Let cool 5 minutes, then carefully remove. Dust with powdered sugar.